Looking for a Florida holiday April 2019? Easter is one of the busiest times of the year in Orlando. You'll need to book early to secure the best flights and your choice of accommodation. This April 2019 Florida holiday is based on a party of 4 adults and 4 children departing Edinburgh, Glasgow, Heathrow, Manchester, Belfast or Birmingham with United. It includes a fortnight in a 4-bedroom villa at Highlands Reserve, along with a fully-insured van. We can tailor any April 2019 Florida holiday to suit you. Let us know your exact requirements on our online enquiry form for a written quote by email. Or call us on 01934 319 851 to speak to a Florida expert. United are a full service airline. Onboard meals and drinks are included. Every seat back has an entertainment screen with lots of movies and games – ideal to pass the time on a long flight. The baggage allowance is a generous 23kg in the hold, along with your cabin luggage. No need to pay for any 'extras'. All of United's April 2019 Orlando flights stop for a couple of hours at Newark New York en-route to Florida. If you like, you can extend this stop-over and stay for a few days in NYC. Why not stay for a couple of nights on Broadway or Times Square? Visit the Empire State Building and the Statue of Liberty. Breakfast at Tiffany's, shop at Macy's. The only additional charge is the hotel – and we have a wide range to choose from. Make your April 2019 Orlando holiday a memorable one! If you prefer to fly with a different airline, get in touch. We can arrange flights with Virgin, British Airways, Delta and more. We can build the perfect April 2019 Florida holiday package to suit you. 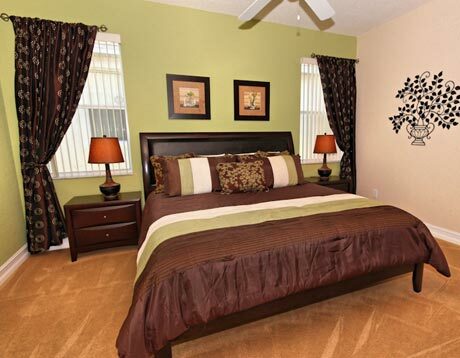 Highlands Reserve is a green and pleasant villa community with a championship 18-hole golf course. Other features include a clubhouse with restaurant, tennis court, children's play area and a community swimming pool. 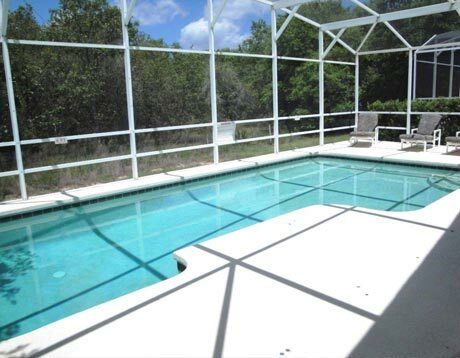 This April 2019 Florida holiday includes two weeks in a 4-bedroom / 3-bathroom villa with wi-fi, pool, spa and games room. Two master bedrooms with en-suite bathrooms, and a third bathroom for the other two rooms provide an ideal environment for two families holidaying together. 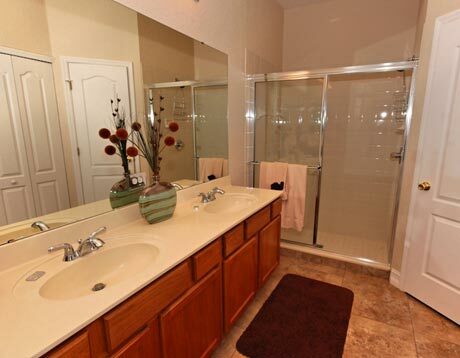 Highlands Reserve is ideally located for Disney – drive there in about 15 minutes. Universal is not much further away. The Interstate 4 is within easy access – drive east for about 40 minutes to arrive at Florida's Atlantic coast. Kennedy Space Centre and Daytona are on the east coast, not to mention miles of beautiful beaches. Drive west for Tampa, Busch Gardens and the emerald waters of Florida's gulf coast beaches. 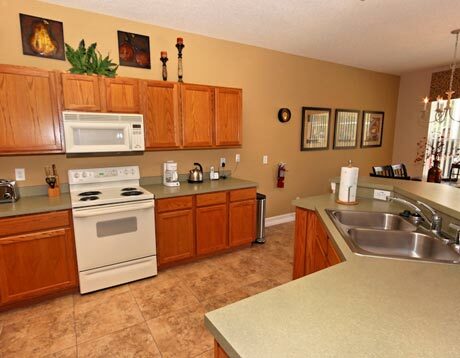 St. Pete's and Clearwater are less than two hours from your villa. There's lots to enjoy on your April 2019 Florida holiday! If you'd rather stay at a different villa resort, or in a Florida hotel, get in touch. 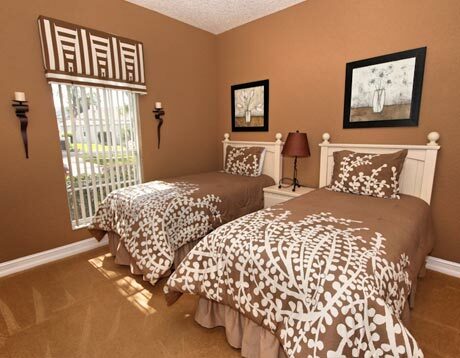 We can build any April 2019 Orlando holiday to suit your requirements. If you prefer two smaller vehicles to the 8-seater, let us know. The cost will be about the same and will give you more flexibility. Car hire is good value in Florida - if you need a Young Driver Package or a specific model, let us know. We deal with all April 2019 Florida holiday possibilities. Easter dates will be snapped up quickly, so book early for the best value April 2019 Florida holidays. Contact us now and choose from our wide range of Florida villas – come Easter 2019, every villa in Orlando will be full. 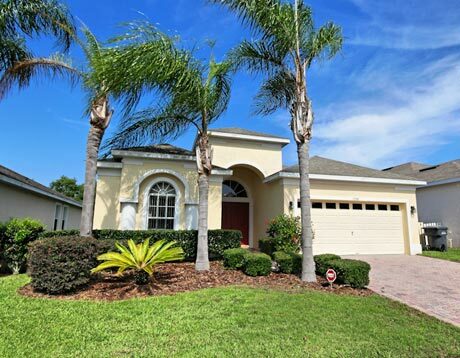 This Florida holiday April 2019 is available from £1025 per person and includes United flights to Orlando, two weeks in a Highland Reserve villa and an Alamo Gold insured van hire. Bookings can be made with a deposit of just £100 per person. Balances aren't due until 90 days before departure, giving you plenty of time to plan your budget. All of our holidays are ATOL protected. Enquire now or call 01934 319 851 for a quote – we can tailor any April 2019 Florida holiday to suit you. If Easter doesn't suit, why not take a look at our other 2019 Florida holidays? We have holidays for every month of the year. If you don't see what you are looking for, get in touch – we can provide any Florida holiday to match your requirements. Stay in a hotel, apartment or villa – or even go for a Florida holiday cruise. Visit the theme parks and miles of beautiful beaches. Start planning your 2019 Florida holiday today. Fancy some Florida sun after the long UK winter? February is an ideal time to visit Florida – afternoons are pleasant and warm with highs of 23C / 73F. Half-term dates will be busy, so make sure you book early for the best choice of accommodation and flights. All of our Florida holidays are ATOL protected. Book now with a deposit of £100 per person. Beat the Easter crowds with a March 2019 Florida holiday. 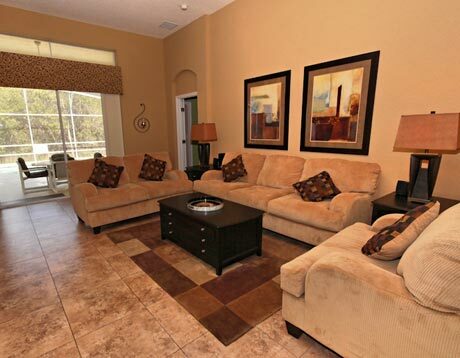 Fly Virgin direct to Orlando, stay in a luxury villa at Emerald Island Resort next door to Disney. Terrific for a theme park holiday. Drive further afield with the fully-insured vehicle included with this March 2019 Florida holiday. Book today with a deposit of £100 per person. ATOL protected.